The Durbin family has been growing peaches since 1940 when Jimmy Durbin’s father started farming with two mules and hand labor. The Durbin family has built their reputation on a work-hard ethic, strong religious convictions, and honest relationships. Today, Jimmy Durbin Farms, located in Clanton, Alabama, consist of more than 600 acres of peaches. In 2014, the farm updated to a new packing line that has increased the packing efficiencies of the farms’ overall operation. In addition to peaches, the farms also grows other local crops, such as strawberries, tomatoes and bell peppers. 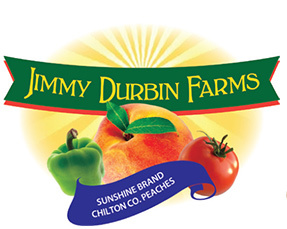 Jimmy Durbin Farms’ “SUNSHINE BRAND – CHILTON COUNTY PEACHES” – are well known and much sought after for their flavorable, chin-drippin’ peaches. In today’s modern world, Jimmy Durbin Farms still picks peaches one fruit at a time by hand, harvested only after they have reached full maturity. During the Depression days of the mid-1930s, George S. Orr, Jr. helped his grandfather by working on his small fruit and berry farm. That small farm was located in the fertile area just west of Martinsburg, West Virginia, on the east side of North Mountain around Arden. As a young man, George, Jr. joined the U.S. Navy and travelled to California where he met his wife, Juanita. With fruit-growing in his blood, George returned to West Virginia in 1954, purchased a 60-acre orchard, and began a lifetime of growing fruit. With help from his family, he increased the size of his orchard to 350 acres by 1979. In 1995, the family opened Orr’s Farm Market, a retail market that served the local community. Over the years since, the Orr family has diversified into specialty crops, a pickyour- own operation, and agritourism events and activities. 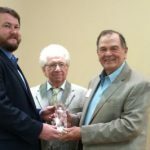 Today, George Orr’s children and grandchildren are continuing the agricultural path that he paved for them. Pristine orchards are tended to by George’s son, Mark Orr. 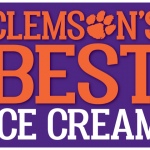 A state-ofthe- art packing facility is managed by the eldest son, Mike Orr. 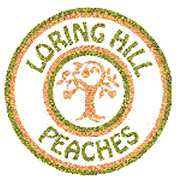 Together they oversee every aspect of the growing and packing process, offering the finest West Virginia peaches that are known for being the most flavorable and juiciest peaches around.